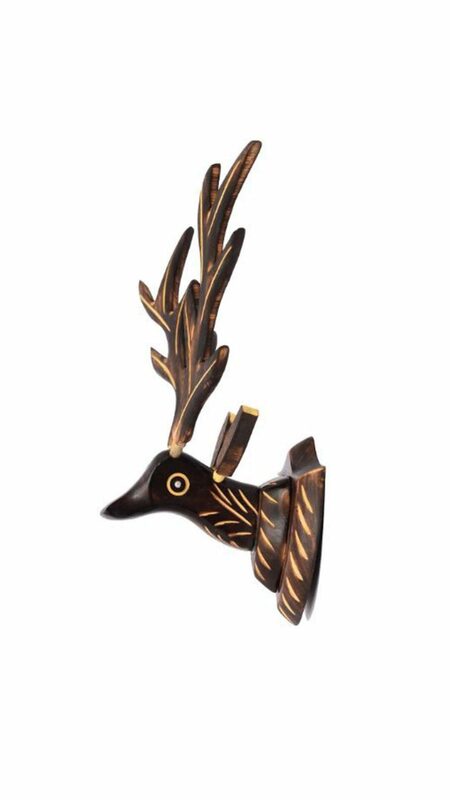 Desi Karigar Wooden Reindeer Hanging 16"
This beautiful piece of wooden deer head required a lot of workmanship and this item can be used as a special decoration for your home, office or business, or as a special gift. Simple and beautiful wall hanging reindeer is elegant no matter in any situation it will bring kind of your own style. It is very fashionable and trendy. This wooden reindeer head is perfect for adding glamour and a touch of nature to your home.